In many respects, the magnificent 2019 RAM 1500 Big Horn appears tailor made for traveling in New Mexico. Albuquerque and Rio Rancho residents enjoy a great opportunity to see this pickup in person at Melloy Dodge. If you've considered buying or leasing a new truck, don't miss the opportunity to become better acquainted with this rugged RAM vehicle! The 2019 models of the RAM 1500 Big Horn supply an impressive 2100-pound payload capacity. Use one of these trucks for daily commuting during the week, then take it on extended weekend excursions through the scenic New Mexico back country. You'll appreciate the versatility of this acclaimed vehicle! The 2019 model tows up to 11,610 pounds with ease. Test drive this precision engineered pickup. With many available optional features (including a great towing package), the Big Horn transports recreational equipment, camping gear, livestock, boats, ATVs, small trailers, and more across roads in this region safely and dependably. If you'd like to test drive the awesome 2019 RAM Big Horn, don't wait. Act now. Simply, let our sales staff know you want to check out MotorTrend’s 2019 Truck of the Year and they’ll help get you pointed in the right direction. We’re open Monday-Friday 8 am to 7 pm and Saturday from 11 am to 5 pm. Or visit us online at Melloydodge.com to schedule an appointment! We'll help you start the process of arranging for a test drive. Come and see for yourself why the Ram 1500 is MotorTrend’s 2019 Truck of the Year! • Catalytic converter is damaged: The catalytic converter is responsible for removing the exhaust gas away from the engine. If the converter becomes damaged, dirty air is being cycled back into the engine. • Oxygen sensor is damaged: Your engine functions because of a specific ratio of oxygen and gas. If the sensor is damaged, your engine may be getting too much or not enough oxygen. as cap is off: If the gas cap is off (or damaged), you're not getting the vacuum seal that is necessary for the fuel pump to get enough fuel to the engine for internal combustion. • Spark plugs are faulty: Spark plugs help to power everything to the engine. If a plug goes bad, various systems may stop functioning. • Oil filter needs to be replaced: Your oil filter cleans the oil that goes into the engine to keep everything lubricated. If the filter is too dirty, the oil stops entering the engine. All sorts of things can happen under the hood of your vehicle. Luckily, the check engine light will tell you that there is a problem. It's your chance to act quickly to get the problem taken care of to avoid even bigger problems, like getting stuck on the side of the road. You won't know what the problem is until you bring it into the service center. A technician will be able to run diagnostics and identify the problem. When your check engine light comes on, the best thing that you can do is make an appointment with the service center at Melloy Dodge. 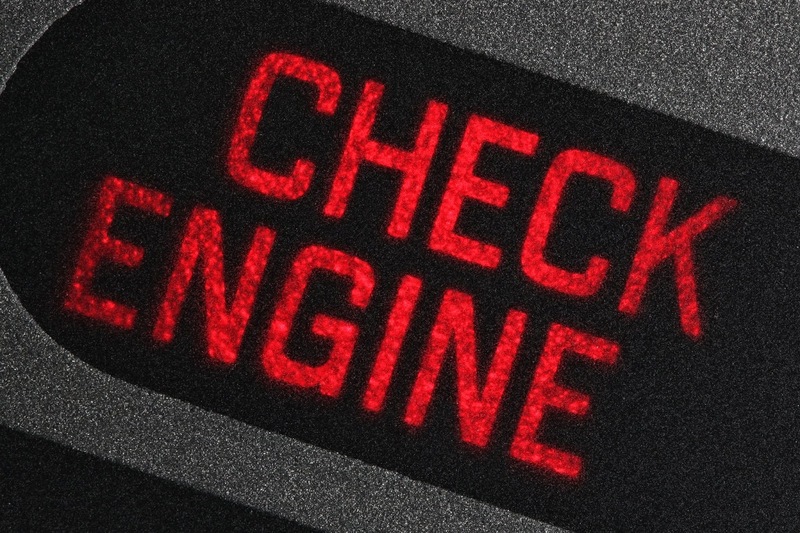 One of our service technicians will explore why the check engine light is on. Then, we can make the necessary repair or reset the sensor so that you don’t have to worry. Melloy Dodge is located at 9621 Coors Blvd NW, just north of Paseo Del Norte. Visit our no-appointment needed Express Lane, open Monday-Friday, 8 am to 7 pm and Saturday from 11 am to 5 pm. For Ram Truck Month, here is what you need to know in February. Melloy Dodge, New Mexico's #1 selling Ram dealership, is ready for you to check out all our trucks during their 2019 Ram Truck Month! • Power: Ram Trucks have a V8 engine that can tow more than 12,700 pounds! • Safety: Rear cross traffic alert, blind spot monitoring, and trailer detection are just some of the safety features in the 2019 Ram 1500. • Price: A low MSRP as well as the low cost to repair Ram trucks definitely help to ease the stress of purchasing a new truck. The Melloy family has been in the automotive business in the state of New Mexico since 1955. We sell new and used Dodge vehicles, especially Ram trucks. Melloy Dodge caters to their neighbors in Rio Rancho, Santa Fe, Los Lunas, and many other cities. Our dealership can help you find the Ram truck that you want. We can answer any of the questions that you have about our trucks or other vehicles. During February, come to our dealership! Or view our inventory online at Melloydodge.com where you can speak to experts about applying for a car loan or lease. Our staff can help customers who have little or no credit. Our service won't stop there when it comes to meeting your goal of driving and using the abilities that the Ram offers to its current and future owners. Consider one of our 2019 Ram trucks today! We’re open Monday-Friday, 8 am to 7 pm and Saturday from 11 am to 5 pm. Or visit us online at Melloydodge.com to schedule an appointment! And our motto is: Where We Always Say Deal! ™.